School’s out for the summer and what better way to kick off the break than by jamming on stage in the heart of Manhattan? 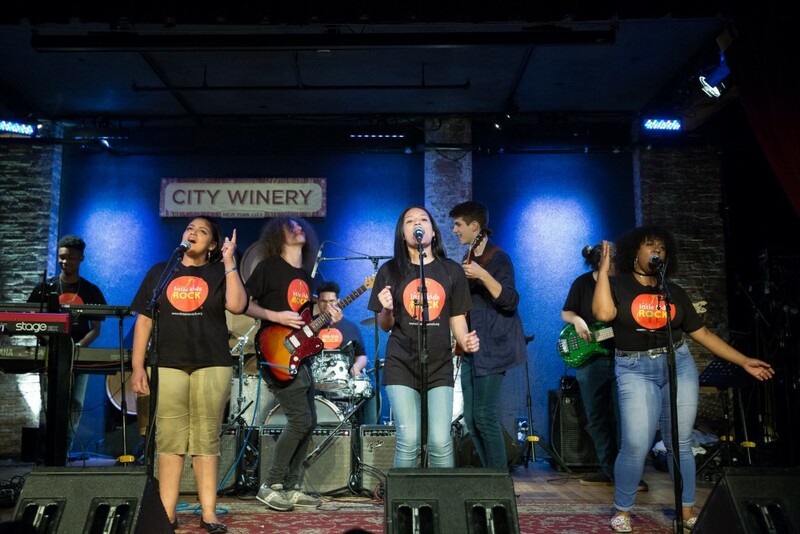 Last week, elementary school students from Public School 182 in Queens as well as high school seniors and graduates who are some of NYC’s All-Stars showcased their talents by performing some of their favorite hits in New York City’s City Winery. 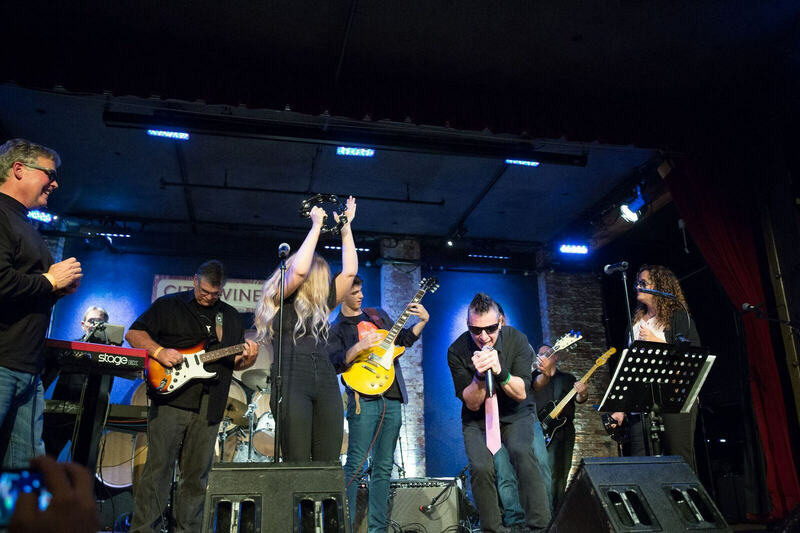 The students were joined by acoustic duo Strumberry Pie, Nasdaq’s high-energy band, No Latency Experience, and local cover band, Warriors from Mars to raise funds to continue bringing the transformational gift of music education into the lives of public school students! The audience of local supporters shared our passion for making a difference in the lives of underprivileged students and gave generously throughout the night for a total more than $100,000. This will help launch Modern Band music programs for nearly 4,000 children in up to 20 public schools that have may have seen the elimination of their music programs due to budget cuts. As for the show itself, the precocious third and fifth graders from Queens opened up the night by performing a few of their favorite rock hits, including Alabama Shakes’ “Hold On.” The audience members were immediately out of their seats, dancing and showing their love for the young and enthusiastic performers. 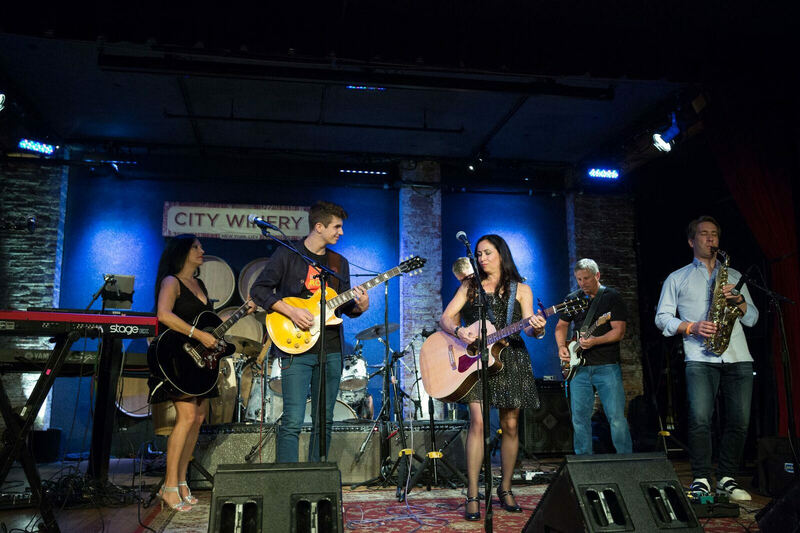 It was following this performance when the audience, inspired by the power of music from kids as young as 8 years old, to recently graduated seniors, to senior executives, began to give generously. 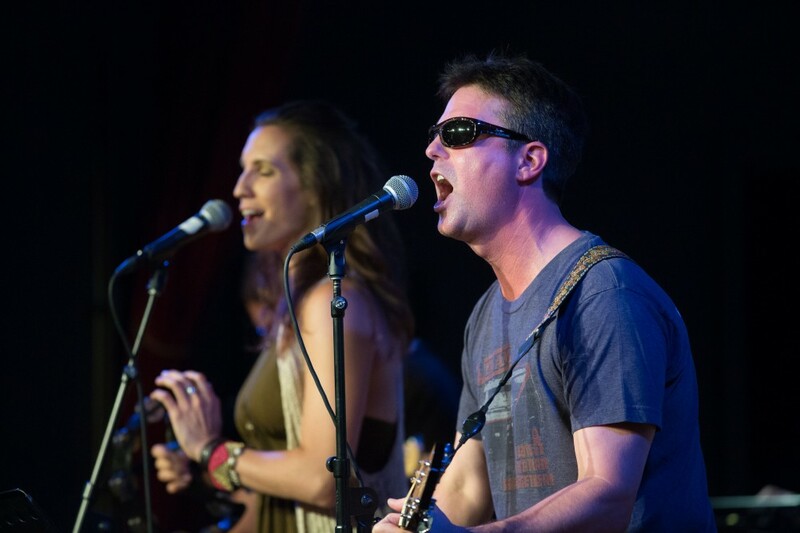 One man raised his hand and pledged to help launch music programs in two new schools! Another woman promised to donate enough to launch one more school. And dozens of people agreed to donate and put a new guitar into a student’s hands. Comprised of some senior execs from BlackRock and Greenlight Capital, as well as a NYC public school teacher who already runs a Little Kids Rock program, the Warriors from Mars built their performance from last year’s event, performing a wide variety of old school rock and roll songs, as well as a couple of originals. The lead singer expressed his admiration for his parents, who happened to be in the audience, by announcing their 50th anniversary and playing a song in their honor. The evening ended with a pleasant ringing in guests’ ears and donation jars brimming with donations. But as the ringing faded and the money was counted, the promise of more kids having their lives transformed through music was stronger than ever. And as the students returned home to enjoy their summer breaks, and the adults prepared for another day at work, one thing was clear: it was the power of music that brought everyone together in New York City that night, and the power of music that will continue to provide the soundtrack to all of their lives.